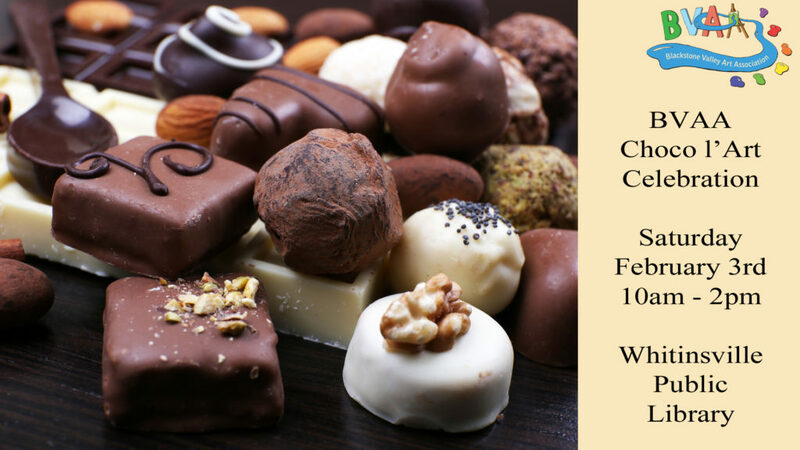 Our 2018 Choco l’Art show is the perfect melding of chocolate and art! Enjoy the taste sensation! This our lucky 7th Annual celebration of the theme! The drop-off for Choco l’Art is Thursday, February 1st from 10am to 2pm. The reception is on Saturday, February 3rd from 10am to 2pm. All are welcome! There’ll be lots of chocolate in all shapes, sizes, and varieties. Pick-up for the show is Friday, February 9th from 10am to 2pm. This show has the visitors vote on a “People’s Choice” award. There’s a ribbon plus a cash prize. The amount is based on the number of entries. You can do a romantic theme if you’d like, but it’s not required! Use the BVAA online submission form to submit for this show. * Watching over the reception for time blocks of your choice between 9am and 2pm on Sat, Feb 3rd. Let us know on your submission form how you’re able to help out. Thank you so much to Eaton Farms for donating some of the chocolate. Be sure to “like” them on Facebook! If you have photos from the first show please let us know! 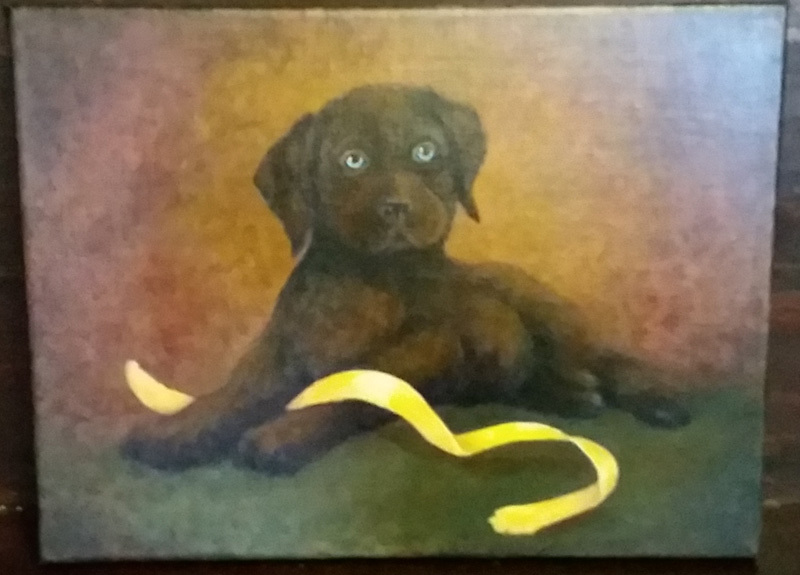 The 2016 winner for this show was Carole Plante with her chocolate lab! Quite appropriate :). Looking forward to it, I can help hinging the show Thursday. I can bring chocolate chips cookies n help taking it down.